Planning on getting away this autumn? My favourite season is nearly upon us and to get me even more in the mood for foggy mornings, woolly scarves and leaves on the ground I have put together a list of my favourite cities to visit this autumn. Along with some dream bucket list destinations too. Here are some cities that will blow you away this season. Munich is one of my all time favourite cities to visit, and it becomes even more magical in the autumn time. Something about the leaves turning golden and the air turning crisp in the Englischer Garten has me falling even more in love with this beautiful city. I have been lucky enough to visit Munich a few times as my brother lives there, and autumn is by far my favourite season to go. Reasons to visit? Well if the idea of being wrapped up in a blanket, sipping a steaming mug of gluhwein over looking the traditional German markets doesn’t make you wanna jump on a plane, I don’t know what will. During the day temperatures range from 10-14 degrees but can feel much warmer in the late autumn sunshine. 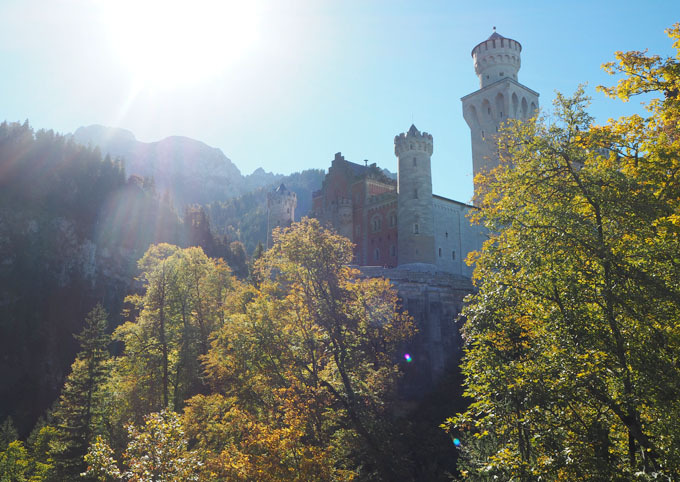 The Neuschwanstein castle is a few hours train journey away from the city and is a must for those wanting to capture the famous castle being engulfed by vibrant autumnal trees shot against pale blue skies. 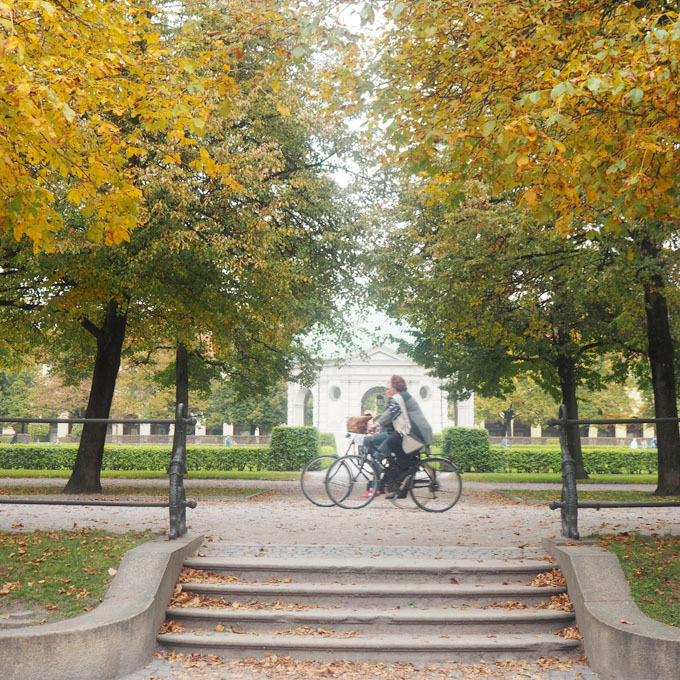 Check out my guide to Munich for more snaps of the city in autumn. Ok, so this is the dream. Wandering around Versailles in oversized coats and snuggly scarves, hand in hand with a hot chocolate. Paris in autumn sounds so romantic, right? It can the perfect time to avoid those busier summer periods and see all the famous tourist spots in peace. My first stop would be the Eiffel Tower at sunrise. Due to shorter days in autumn, the sunrise is around 7am, meaning there is not as much of an early start to capture the perfect shot as in the summertime. Temperatures in autumn are a cool 12 – 16 degrees with around 12 days of rain making it perfect weather for strolling around Parisian parks. 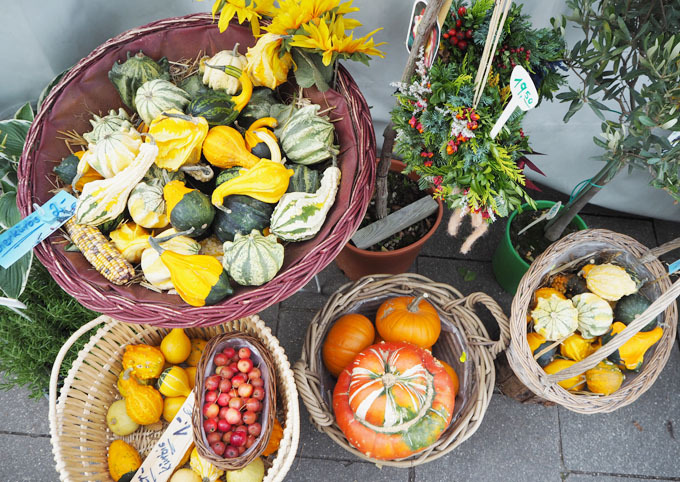 If you need any more convincing, check out Sophie’s guide to Paris in autumn here. This year we are heading to Copenhagen at the beginning of October, so this one had to be on the list. I’ve been wanting to visit Copenhagen for a while now and have been looking forward to it since we booked it at the beginning of the year. What better time of year to visit Denmark and experience the hygge lifestyle than the season of chunky knits and frosty walks. There’s a lot going on in Copenhagen in autumn too, things like the annual Culture Night and Halloween celebrations make it a great time to visit. If you are thinking of visiting Copenhagen, I loved reading Amanda’s travel guide here. I have visited Edinburgh a few times around my birthday and Halloween and loved the atmosphere the city radiates around this time of year. The castle looks extra beautiful against piercing blue skies and surrounded by colourful leaves and the city seems to come alive as markets start to pop up and festive decorations start to be hung towards November time. It might be worth taking a brolly if you are visiting Edinburgh around this time as there is an average of around 20 days rain in the autumn months but there’s still plenty of things to see and do indoors. From museums to tea rooms there’s lots to explore in this pretty city. Another dream of mine. New York in fall. I have been lucky enough to visit New York around Christmas time, (read my post here) but would love to go back in autumn. Central park was one of my favourite spots and having seen photos on Pinterest it looks even more beautiful around this time of year. Why visit? Well the uncomfortable heat of the summer month’s has been replaced with cooler air and warm sunshine so exploring becomes easier and more relaxed. Sunrise is later so capturing those unforgettable moments at the Top of the Rock is a breeze, not to mention those breath taking autumn sunsets. No one does Halloween like the American’s right? With parades and decorations galore, New York is he ultimate Halloween destination. I love Kristabel’s guide to the city here. There you have it, a few ideas for places to visit this autumn. I would love to hear if you are planning to visit any of these places this autumn, leave a comment below! Ah Budapest is another city I would love to visit! It looks beautiful! Out of all these places I have only been to Munich so far and it really is beautiful place! Meanwhile Edinburgh is climbing higher and higher on my travel bucket list! Ah yes Munich is my favourite! Fingers crossed you get to visit Edinburgh one day too!